A Minister (Billy Milton) reads the funeral service over a grave and while the gravedigger (Herbert Nelson) commits the deceased to the earth, he leads the sole mourner, Gregory (Leslie French) away, who tells him they'd been together four years. We see it is a pet cemetery and the deceased a Great Dane like the one being led by Gregory. Cathy returns from a bird watching holiday and is shown an x-ray by Steed, showing £50,000 of diamonds in the stomach of George Miller, who crashed his car at Southend. He'd been heading for Switzerland, for the fourth time in six weeks. Cathy wonders if he always travels on a full stomach and Steed tells her £3,500,000 has left the country recently, and this is their first lead - Miller is a conjurer and practical jokes salesman, and he infuriates Cathy by contemplating visiting Mrs Miller and callously suggesting Miller were already dead to gain information. Steed arrives at the 'Big Laugh' joke shop and finds Mrs Miller (Clare Kelly) practicing ventriloquism. He's startled when she produces a gun and the doll says, "Hands up!" but relaxes when he realises it's a joke gun. He shows her George's picture and says he's in hospital. She's not exactly sympathetic - she rarely sees him these days; while she minds the shop he goes to Switzerland to perform for refugee children, under the auspices of the millionaire philanthropist, Alexander Litoff. Steed gives her the hospital details and leaves. Steed visits the Litoff Organisation, where Gregory is just about to take Dancer for a walk and they stop to discuss tailors, while Getz (Frederick Jaeger) and his two assistants (Dennis Edwards & Anthony Baird) trade shares internationally. 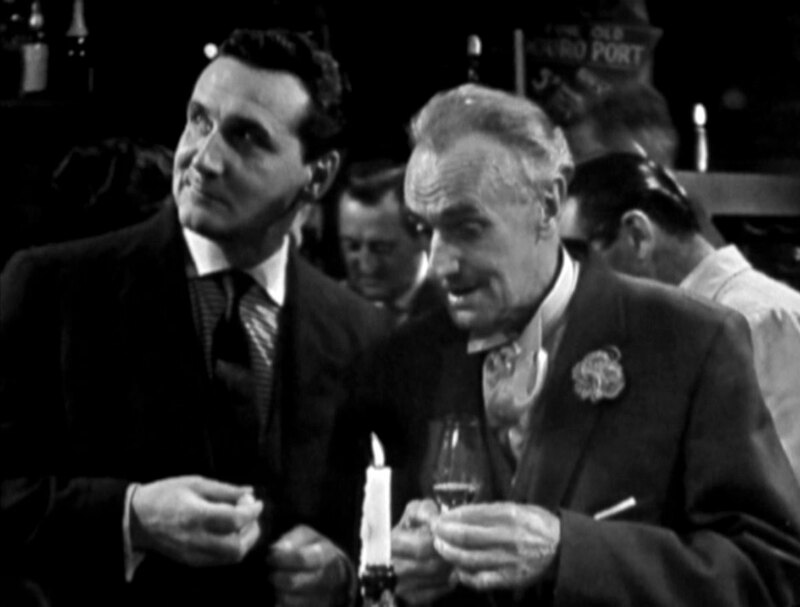 Steed bribes Gregory to see Getz after being told Litoff is indisposed, and tells Getz about discovering Miller's accident and the discovery of the diamonds. The intercom from Litoff's private suite barks some orders and Getz attends to a trade, and the first assistant emerges from the suite and blocks Steed's attempt at entry. Steed tries blackmailing Getz into paying for the return of the diamonds but Getz refuses, telling him to return the next day after he's spoken to Litoff about it when Steed suggests he ought to be paid just to keep quiet. Steed visits Cathy and shows her some old slides of Litoff and tells her all his charitable subscriptions had been cancelled six weeks ago. He asks her to find out why while he visits Miller. Before he can get there, one of Getz's assistants impersonates a doctor and kills Miller (Frank Peters) after telling the policeman guarding him (Michael Moyer) to take a break. Steed arrives to see Getz the next day and learns from Gregory that they used to have another Great Dane, Bellhound, who died recently. Getz offers him £4,000 for his silence, saying there'so point arguing once Mr Litoff makes up his mind. 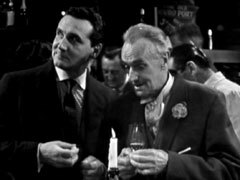 Steed questions the secrecy of the firm, and its past honesty, and Getz tells him he joined the firm 14 years ago as a chartered accountant, was trained by Mr Litoff, but nobody outside the firm knows him or how skilled he is as a trader. Just as the first assistant goes into the private suite Sir James Arnell (John Laurie), Litoff's doctor, emerges and is introduced to Steed. Sir James confides in him that he longs to leave the degenerate sybarites of London behind and start a clinic in Asia after the intercom barks Litoff's disapproval of his doctor's meddling. Cathy is listening languidly to some jazz when Steed arrives, and gives him a list of the companies she's checked so far and he gives her a glass of milk - they're going to a wine tasting attended by Sir James and while Steed's talking to him, she'll be photographing the records in his bag which is in the boot of his car. Cathy has discovered Litoff has been selling everything, often at a loss, for the last six weeks. 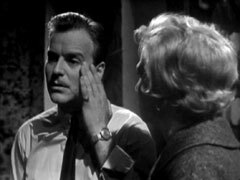 Meanwhile, Mrs Miller arrives to blackmail Getz, having discovered her husband has been strangled, and tell him Bellhound is still alive as George couldn't kill him. At the tasting, two old buffers (Eric Elliott & Roger Maxwell) are nodding over a chablis as Cathy arrives, Steed points out Sir James to her as he hands her a St. Emilion and tells her where his car is parked. She goes to ransack the car while Steed impresses Sir James with his knowledge of wine, and Sir James tells him he doesn't expect to make enough to start a clinic from Litoff as the millionaire is seriously ill. Arnell tells Steed that Litoff has a chronic heart condition which has incapacitated him, leading Steed to suggest that maybe Getz has been making unauthorised trades to create a personal fortune. Arnell is intrigued by the idea, suggesting Getz fabricates reports to get Litoff to sell stock he would otherwise keep. Cathy returns and confirms Litoff's heart condition from the records, then heads home. When she gets there, the second assitant attacks her but she subdues him easily with a karate flip, by the time she draws her gun, he's escaped. Steed meanwhile breaks into Litoff's apartment and is apprehended by Sir James and the first assistant after discovering a mannequin in Litoff's bed. Getz's assistants visit Mrs Miller, posing as potential buyers for her shop, and strangle her. 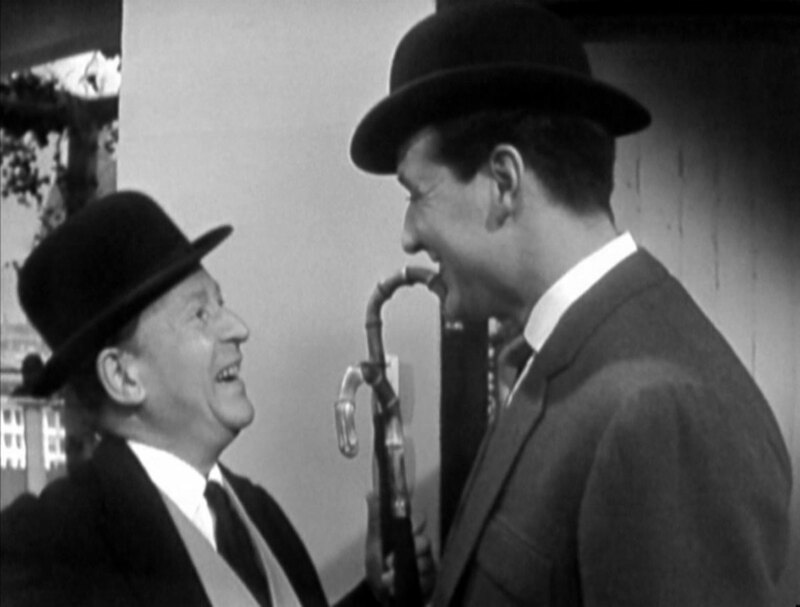 Steed meanwhile is captive in the apartment, and learns that Gregory will get £11,000,000. He tries to convince Gregory to let him go, otherwise he'll be in prison until he's 73, and tells him about Miller's murder. This shocks Gregory, but he refuses to believe him. Cathy arrives at the joke shop and finds Mrs Miller's body just before a man from the kennels (Kevin Barry) arrives to return Bellhound. 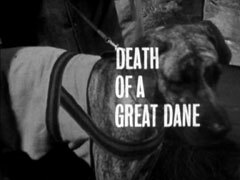 Cathy takes Charge of the dog and visits the cemetery with the police, who discover a man's body in the grave. Getz is preparing Litoff's private plane, and tells Steed that Litoff was buried in Bellhound's grave and he first planned everything two years ago. Sir James was bought with £12M, he's to get £40, and the oil stocks have yet to be disposed of. Cathy arrives to deliver Bellhound and is admitted by Gregory, but Sir James recognises her from the wine tasting and they're both led off at gunpoint by Getz's henchmen. Gregory and Sir James are appalled, Sir James regrets saying anything and confirms that Miller and his wife have also been murdered. Steed and Cathy look out the window and Cathy starts knotting the sheets together, thinking they can get to the floor below. Outside, Sir James and Gregory are pleading with Getz not to kill the Avengers, offering him some of their millions in return. Suddenly, the telex machine bursts into action, announcing "Litoff's body exhumed. Release Steed immediately." Getz panics and says they'll escape by the rooftop exit and when Sir James and Gregory refuse, he goes to kill Steed and Cathy, who are hiding in a wardrobe and overpower him while he's looking at the rope of knotted bedclothes. Sir James and Gregory are escorted into the room and Cathy goes out to deal with the henchmen, shooting one. The villains are all led away, Sir James reflecting, "Our dream has deserted us". Gregory asks if they'll be wanting him too and offers Cathy to go through the door first, and Steed tells him firmly, "No Gregory, you first". The Avengers pause at the door and look at the apartment and Steed says, "Shall we take it?"